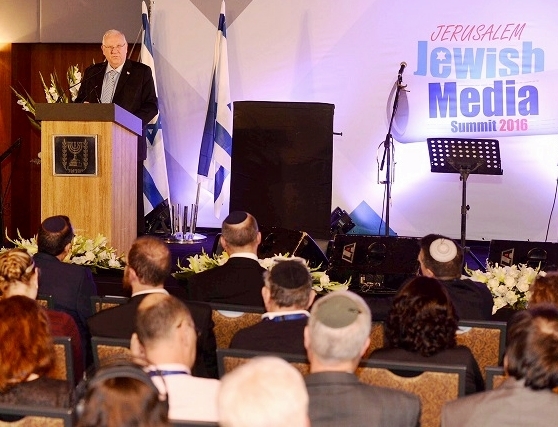 Jerusalem, Israel — December 5, 2016 … Israeli President Reuven Rivlin addressed a summit of publishers and writers of Jewish media outlets from around the world. His first and foremost words were for the Jewish media to be the eyes and ears of the Jewish community. Rivlin asked the international Jewish media to encourage their readers to report any acts of anti-semitism and provide wide and detailed coverage of these hate crimes. “You are like a window,” said Rivlin.